It is not very often you get to stay at two excellent hotels in one weekend. 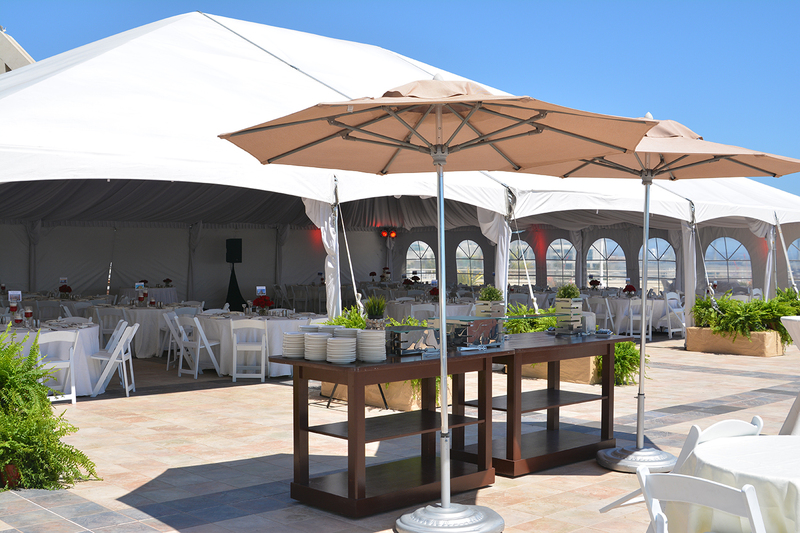 That was the case for a wedding ceremony that Staycations was attending during the first week of June.The wedding venue was at the Marriott Marquis San Diego Marina near Seaport Village and the event was to be held on Saturday afternoon. We booked a room at the Marriott for that night, but because we wanted to extend the weekend out a little, we took advantage of a deal at the Omni for Friday night. On our arrival at the Omni we were greeted with a glass of Champagne as we checked in. Having just gotten off the train and then the trolley, the cold bubbly went down nicely. So did the second one. I guess we looked parched after our half-marathon, I mean, half a block walk from the trolley station. Alex at the front desk gladly offered us up the second glass. The staff was very welcoming and friendly and every person dressed in an Omni uniform treated us like royalty. It was very noticeable. We took the train from Oceanside because we knew that the traffic is horrible on Friday nights and the San Diego Fair was opening which would add even more cars to the gridlock. 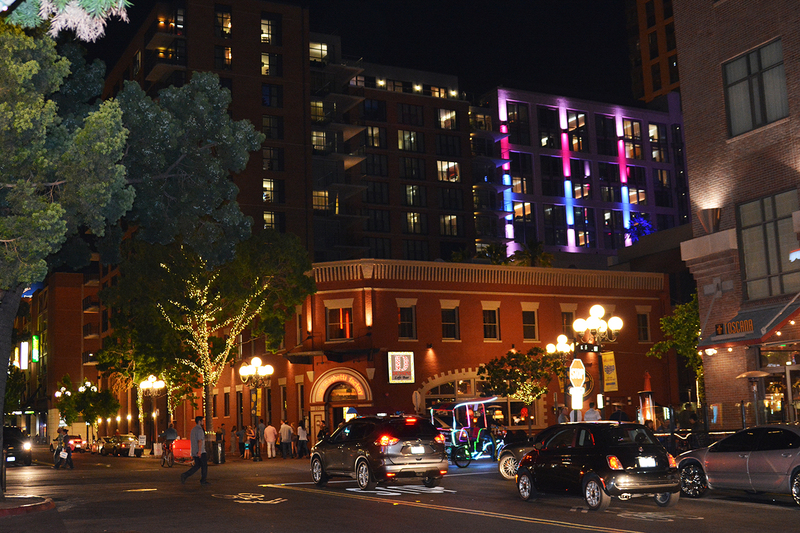 We also knew the Omni and Marriott were close enough to walk to each from any trolley station. 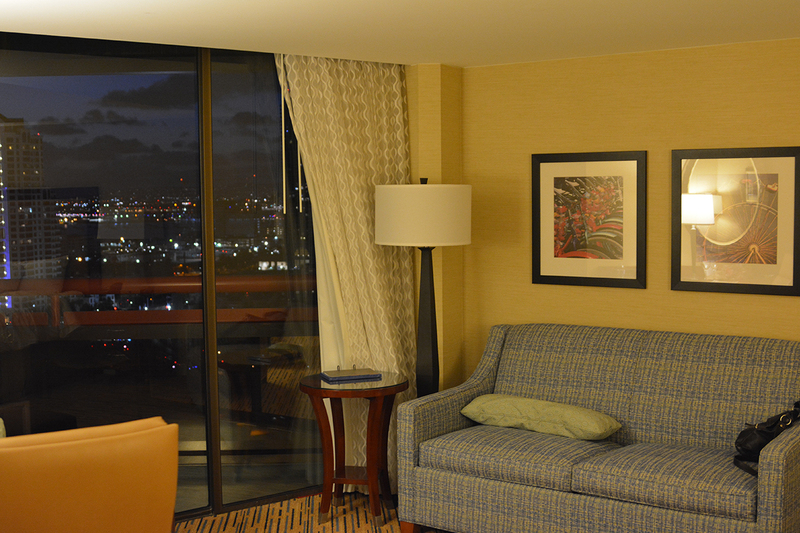 The Omni’s atmosphere is full of sophistication and class. 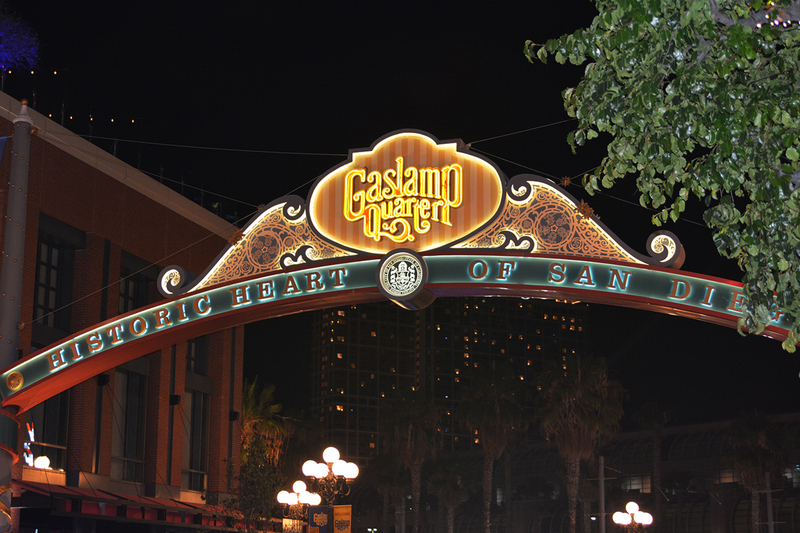 It stands a stones throw from the Gas Lamp Quarter, Petco Stadium, and the Convention Center. It is right in the heart of business and pleasure. 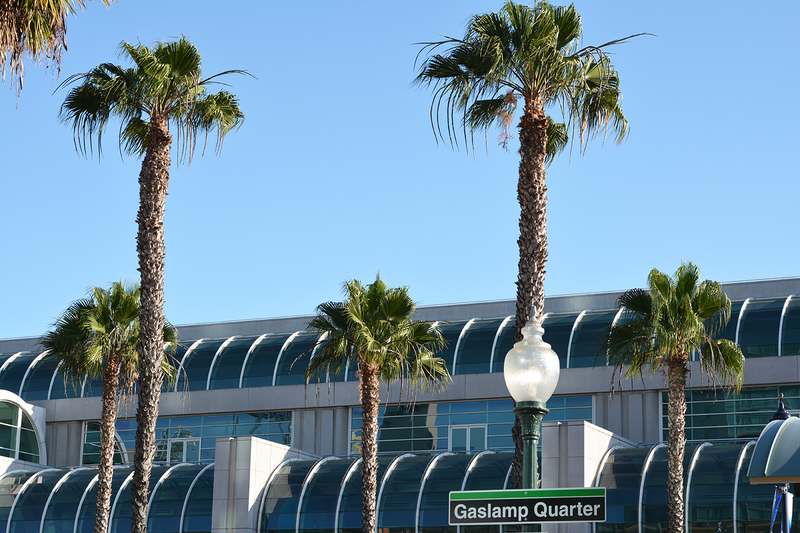 The Gas Lamp Quarter features some of the best restaurants and bars in San Diego and, of course, the Omni is an easy walk across the street to the Convention Center. 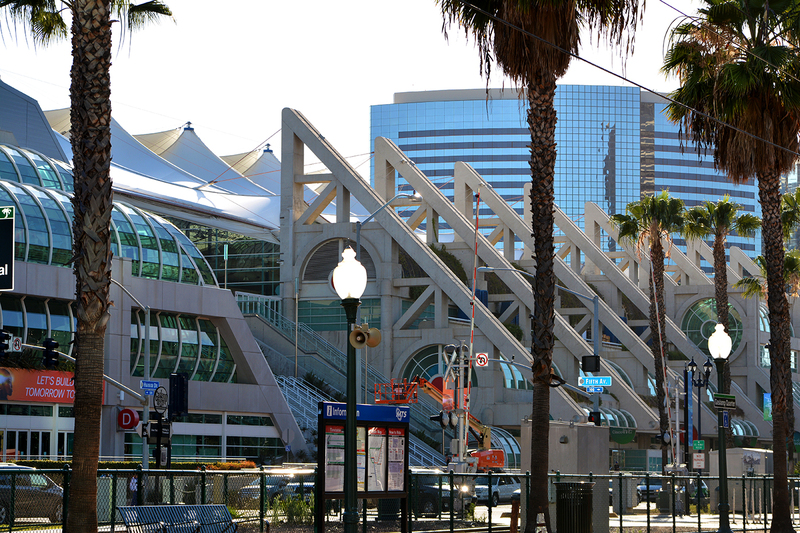 The futuristic looking Convention Center hosts every type of trade show imaginable and most notably, the extremely popular Comic Con. Our room was facing Petco Stadium but we were not high up enough to see into the stadium. There were, however, plenty of rooms above us that I am sure looked right in. We took the trolley two stops away and dined at the wonderful Cheese Cake Factory which sits at the entrance to Seaport Village. 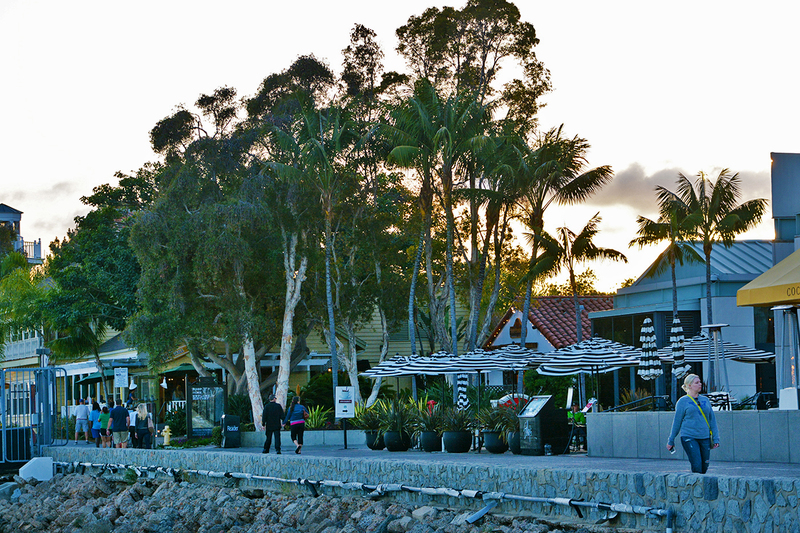 Seaport Village features restaurants and an eclectic group of shops. You can find clothes, shells, art, knickknacks, crafts, and much, much, more. Don’t forget my favorite store, the Magic Shop. 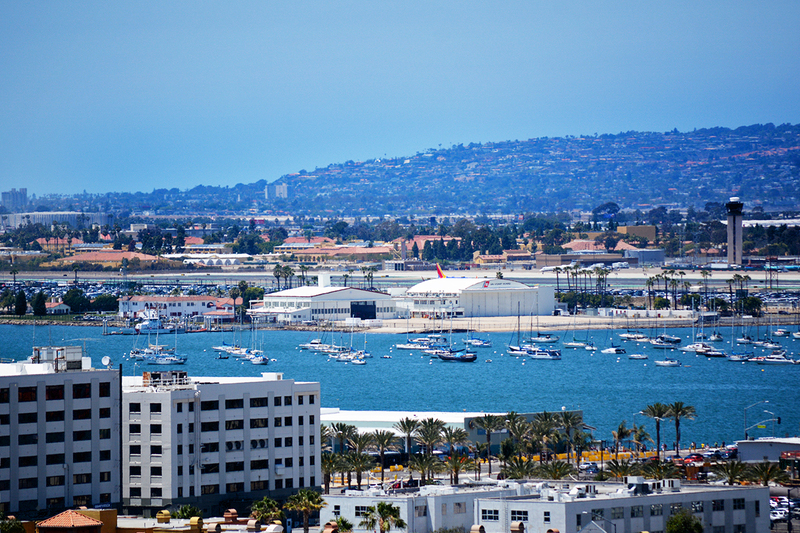 The sidewalk along Seaport Village is a perfect place to stroll while viewing the marina and San Diego Harbor just beyond. 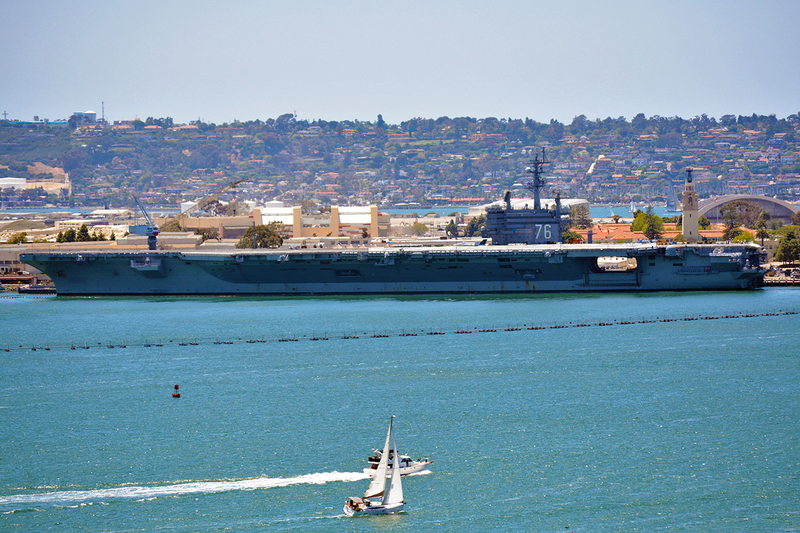 Enjoy your walk as every type of boat or ship imaginable floats by. 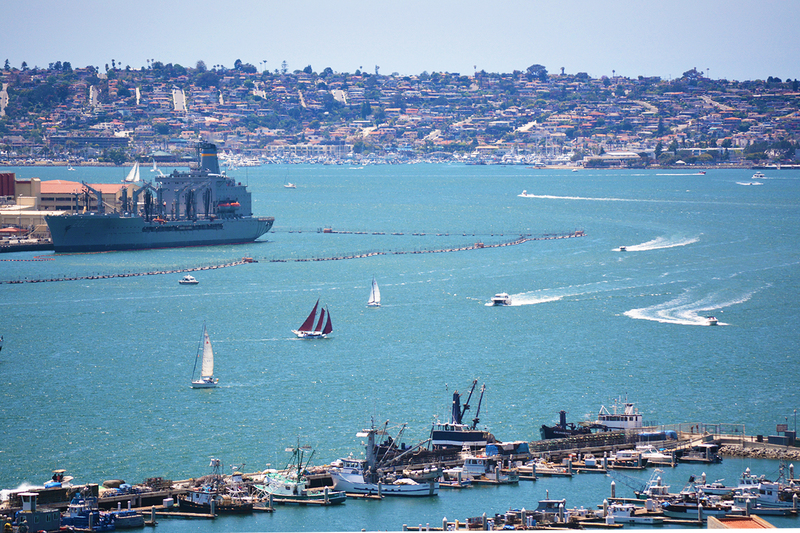 From military to pleasure boats, San Diego Harbor has it all. In the distance the majestic Coronado Bridge towers above the bay like a beacon for all to drive over and visit its fair city. That is for another day, as for now, you will be happy right where you are. 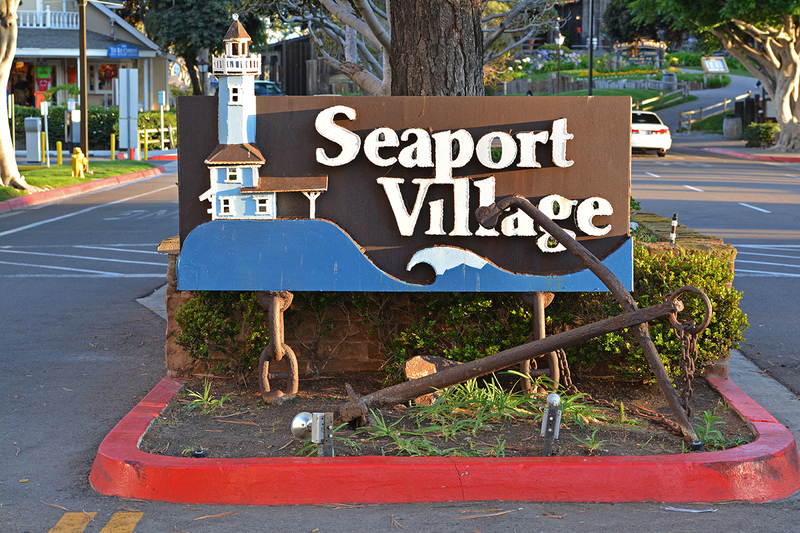 Seaport Village also has entertainment on some nights and is a great place to wander around and window shop. Although I think the vendors would rather you actually shopped and spent money. On Saturday we checked into the Marriott. I really don’t want to compare the two hotels because they are both so different. Each has an excellent staff that treats you well. I give a nod to Omni for the wonderful champagne, however, Marriott’s check-in was fast and easy as well. The Marriot looks like something you would see in Hawaii. As you explore the grounds, the palm trees sway easily to the gentle winds coming off of the water and the massive pool area rivals any hotel I have seen in the Aloha State. However, the comparison ends there as Hawaii’s breezes are just a tad warmer. 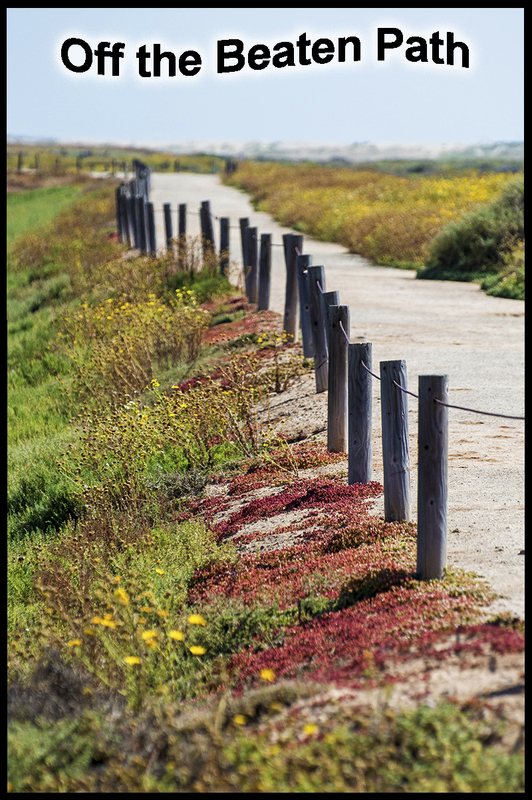 Even though the sun was out, it was a nippy day in June for California standards. The Marriott gets points for the view from the room. 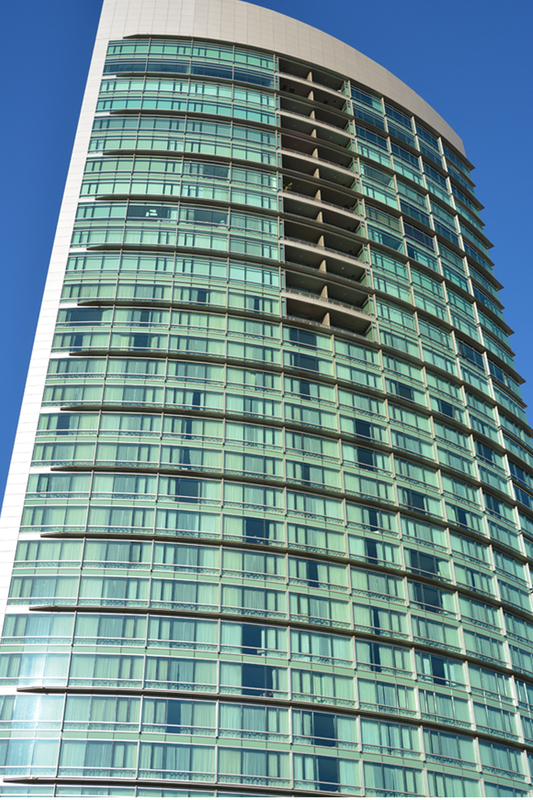 On the North Tower, all the rooms have nice sized outside balconies. Our room was on the 18th floor so we had views of the harbor as well as the city and both sights were equally remarkable. 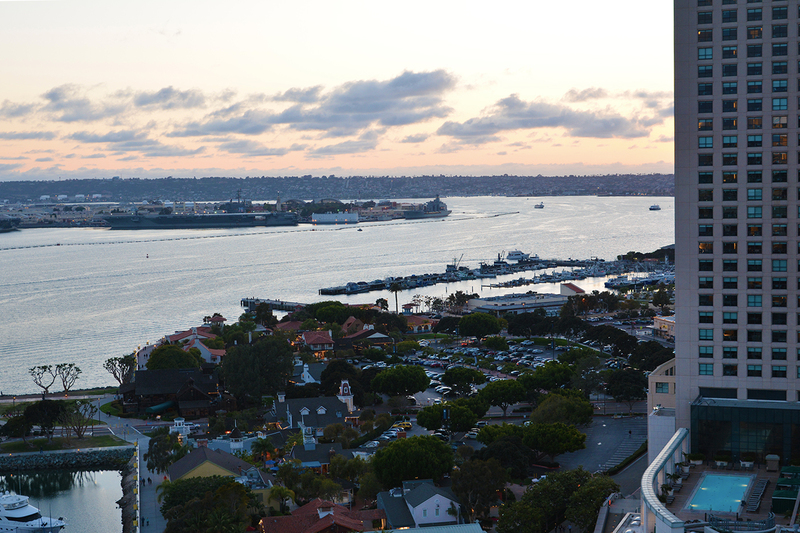 Here is a view of Seaport Village during the day and then at sunset. 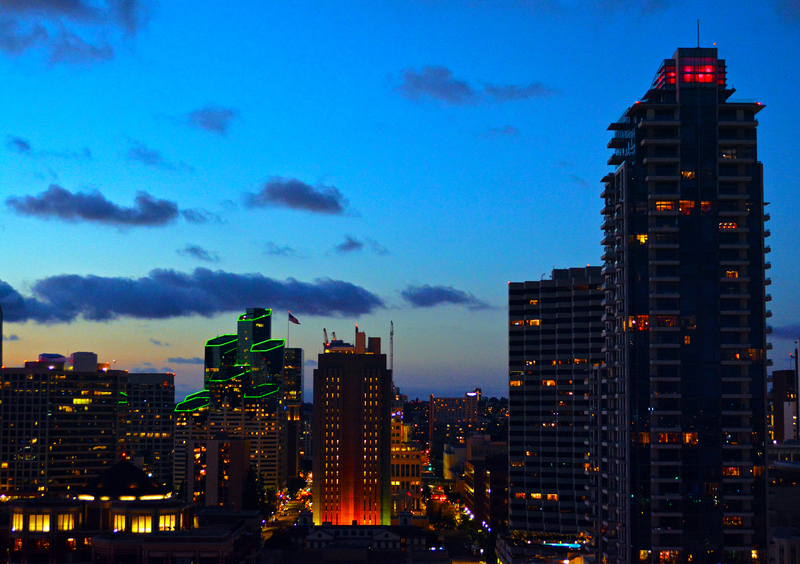 On previous visits, I have had a ocean view from the Omni and it was just as impressive. 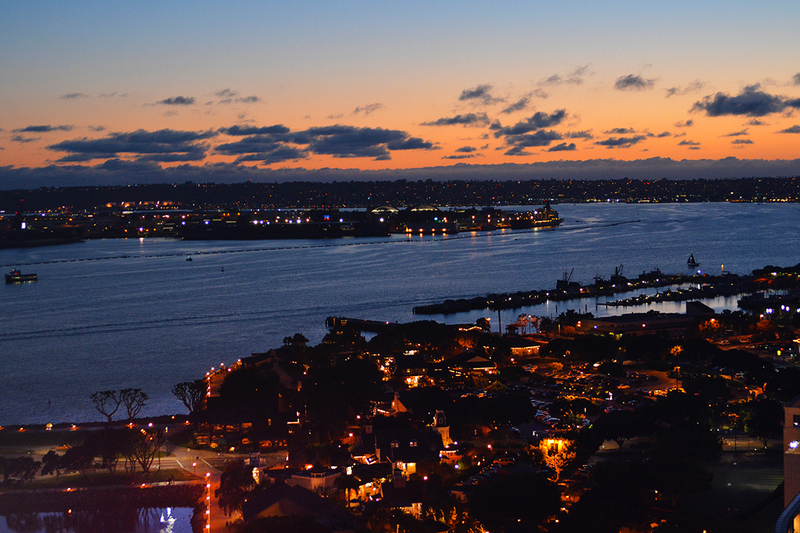 However, you can’t beat walking out on the balcony and feeling the fresh air on your face as you appreciate the sunset over the bay and the colorful lights of the city at night. 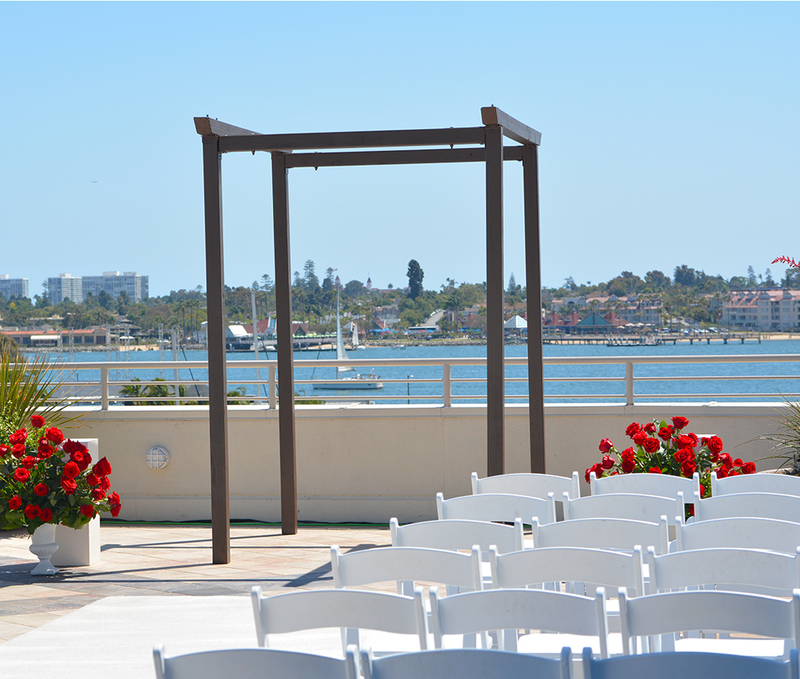 The wedding venue was on the fourth floor in an ample outdoor space with the marina and harbor as a backdrop. Nearby, a large tent was set up for the reception after. Seating areas with fire pits were scattered about and then there was that VIEW! 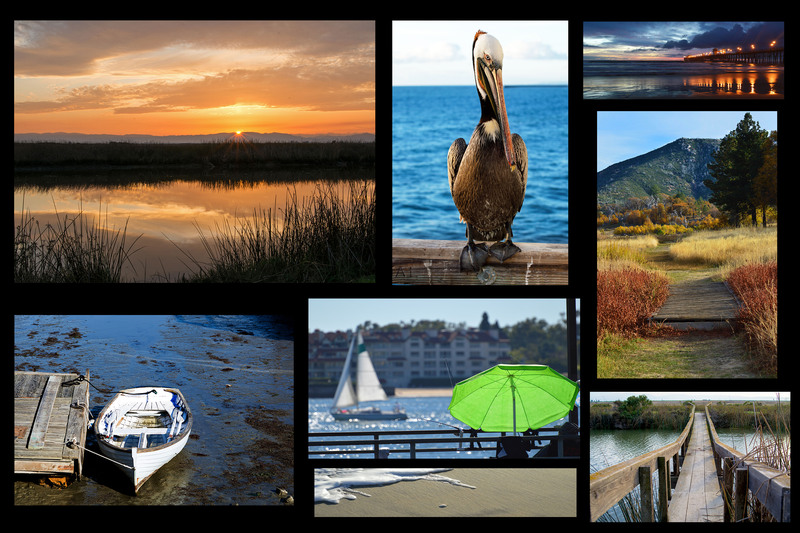 A wedding, sunset over the bay, and great food, you can’t ask for much more! It was a perfect weekend and, I am sure, a wonderful beginning to the new life of the now married couple. Each hotel has its plusses. I can’t think about any negatives except for the Omni‘s bathrooms that had sliding doors which didn’t actually close completely. For us shy ones, it doesn’t give complete privacy and you can hear every tinkle. However, if that is the only negative, you are doing pretty well. If you don’t mind heights, try to get as high as you can so you can have an expansive view of the colorful skyscrapers and beautiful harbor below. We didn’t ask for a room facing the west at the Omni so we didn’t get one. However, at the Marriott we asked and our request was met. It wasn’t a full view of the bay but it was just perfect for us as the lights of the city had their own special allure. 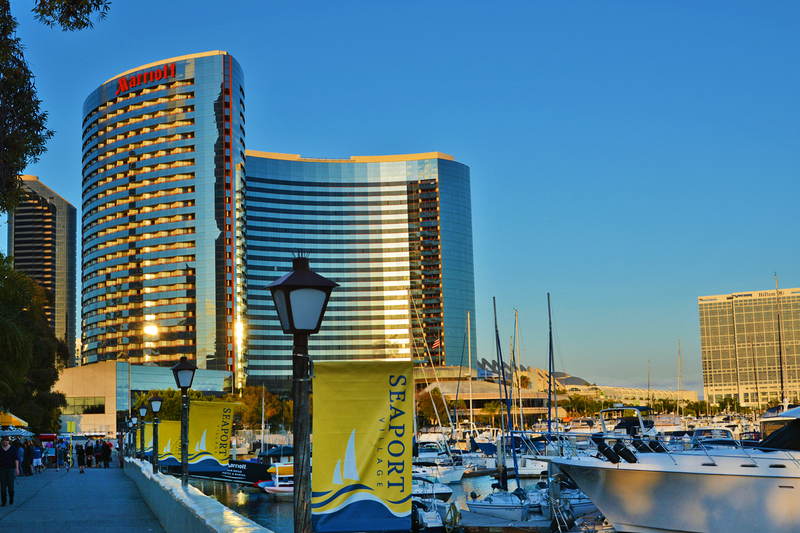 If you are staying in San Diego and have some saved up money, I suggest either hotel. Even if you just want to get away for the weekend, both give truly top notch accommodations. 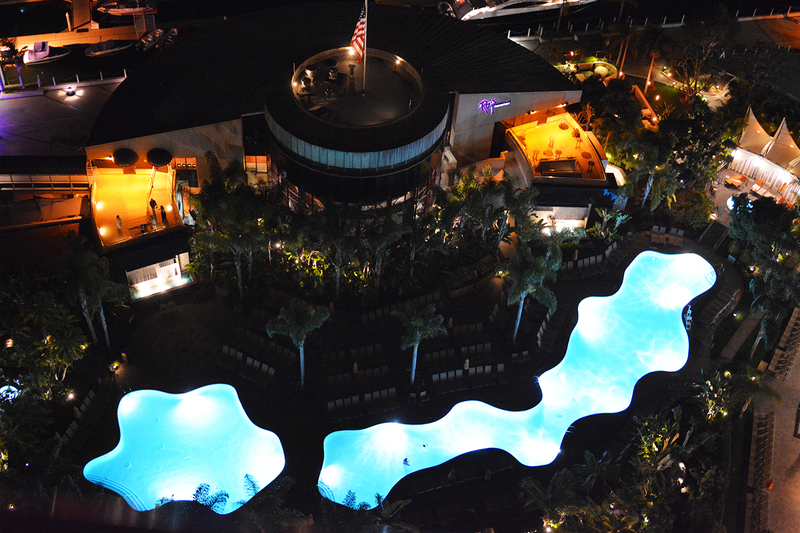 The Omni is sophisticated while the Marriot is playful. Both have great pools and are near to restaurants and shopping. 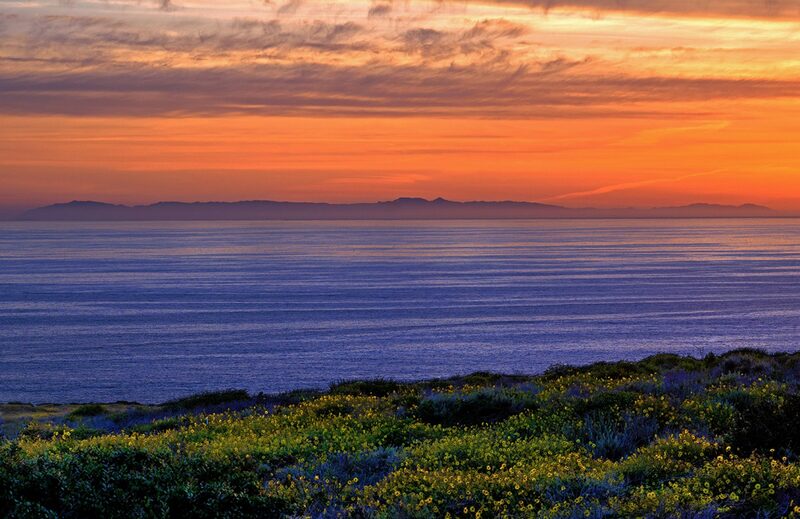 Each has easy access to all the San Diego attractions and both are close to the airport. Good job Omni and Marriot. I’m saving up my money for my next visit, so keep the champagne cold and the pool water warm.